Haha! Seems like I am back to active in blogging again aye? So, after the visit to Sutera Harbour that day, we all get hungry and finally left Sutera Harbour and go for dinner! At that time, I really craving for the Mango Sticky Rice at one of the Thai food outlet at Asia City. We passed by this Pakistan Restaurant - PraCorner before we going inside the mall. It surprised me when saw the restaurant is closed. We end up walking around and see what we can eat for dinner. And we ended up back to this PraCorner restaurant! 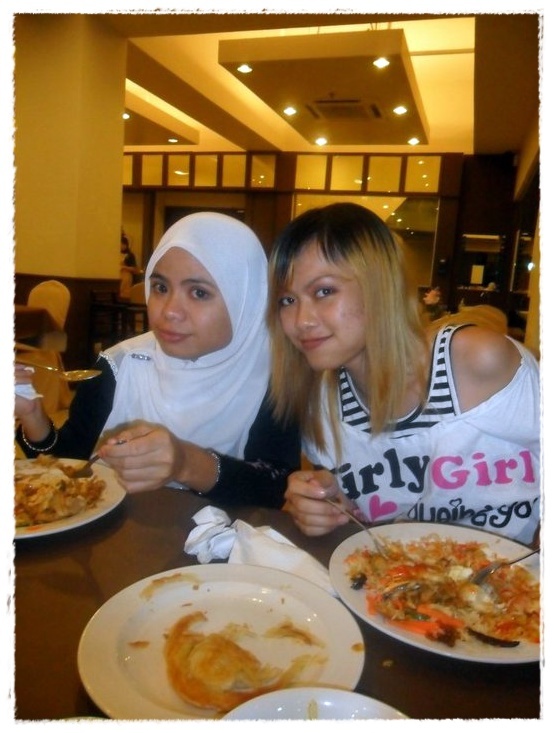 That was our first time to dine at there and Mia and sister asked the waiter to suggest what to eat at there. Look like Seafood Fried Noodle aye? 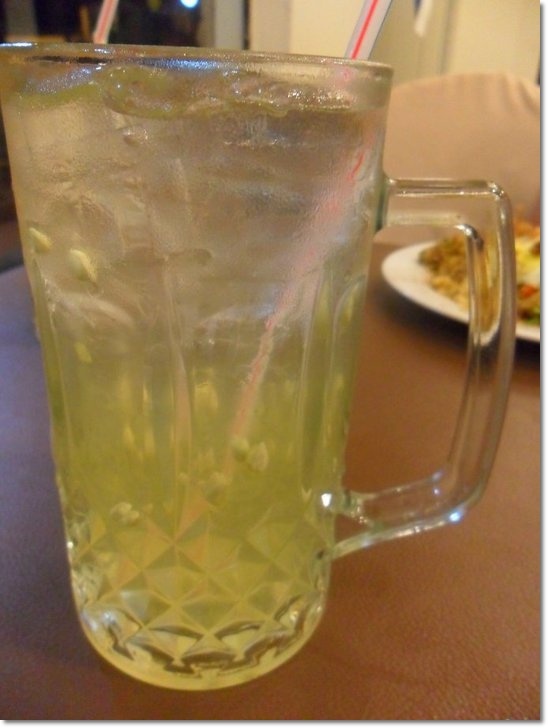 Thank God the drink is in big glass! 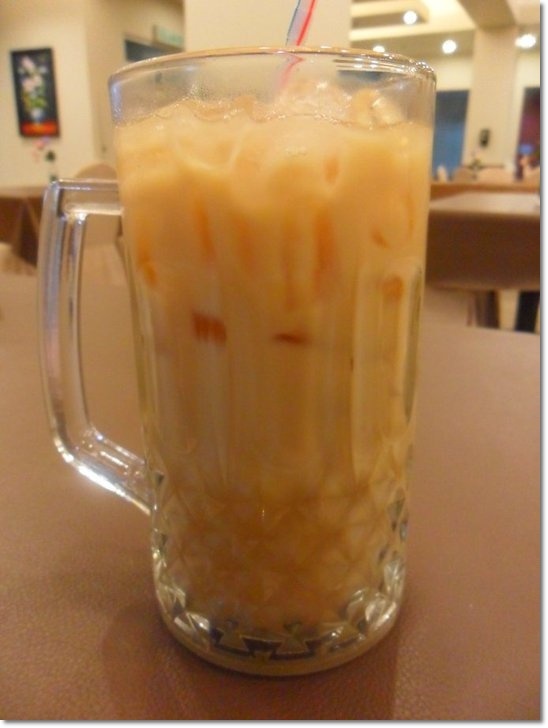 I just ordered and want to try how it taste. 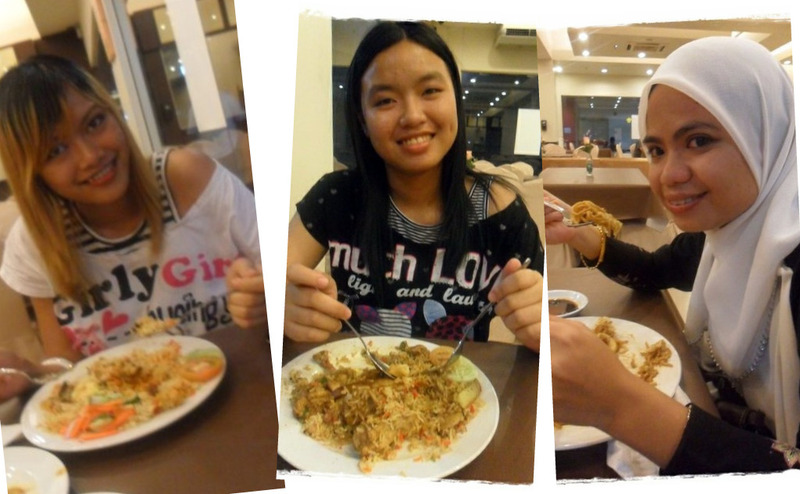 After all, we enjoy eating at the place even though I can't eat my favorite Mango Sticky Rice! @Merrynhahaha! yay! got Ethan at there dy! :D lemme update my FCSB ! apa tu teh C? Teh Cantik? 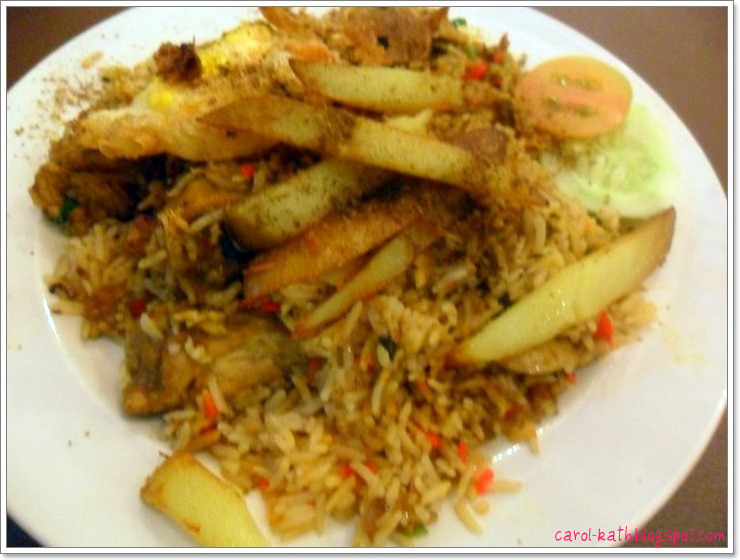 Student Briyani? The rice still studying ah? 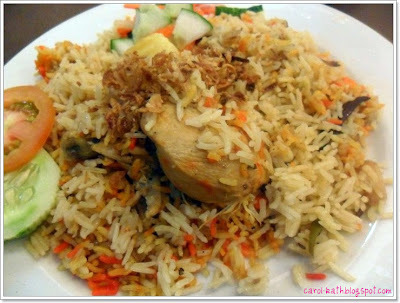 and yours graduated become chicken dy - Chicken Briyani..
@Merryn *FAINT* I never drink teh C oso! mwahahaha!! choi! whr got graduated chicken!! hahhaah!! d diff is student one got egg and potatoes! briyani = rm 10??? expensive lah!! All that nice food is making me hungry yum yum. Oh? no mango sticky rice? Aiyor....so kesian!!! I love that so much! Slurpzzzz!!!! haha, yeah, i'm just gonna say those drinks are huge!! 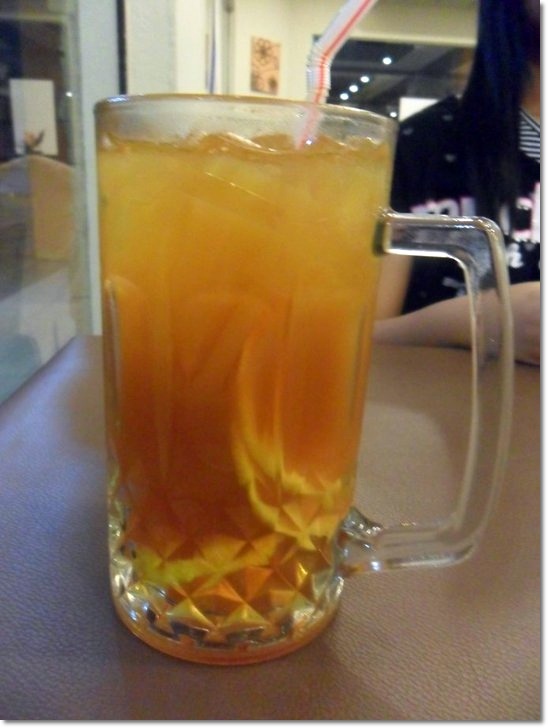 i guess easily 2 litre in that huge glass?? so the drinks at RM2.50 is quite worth as compared to that small tiny roti bom at RM2.50 also..
normally if you go to those restaurant, the drinks are most probably more expensive than food themselves..
@[SK]hahaha! yeaaa huge! err i dnt think 2 litre lar. haha the roti boom actually quite thick. Lol, Caroline these days u r so happening over there! Enjoy! 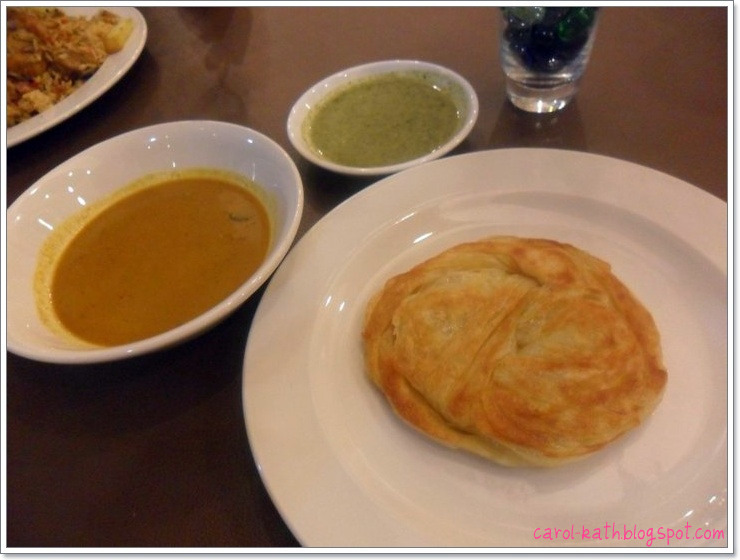 Ahhh, roti boom.....tonight must go and eat! @Angeline@安琪琳 quite ok i guess! hahaha! :D But now quite hectic. sobs. that Erika sounds like some kind of monster munching on something! awww... this post made me HUNGRY!!!! gotta run to the fridge now and see what I can eat. LOL! 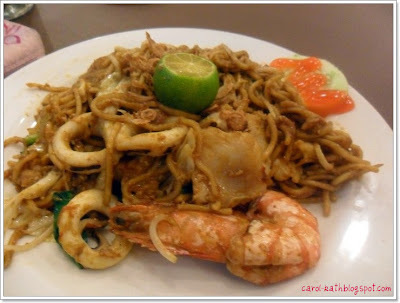 Mee Goreng Mamak - So generous with the UDang.. I ve neber tried manggo sticky rice. Should try em in the future. morning sweetie! :D hey i LOVE mango sticky rice too!! !